These are vintage glass pieces from Japan. 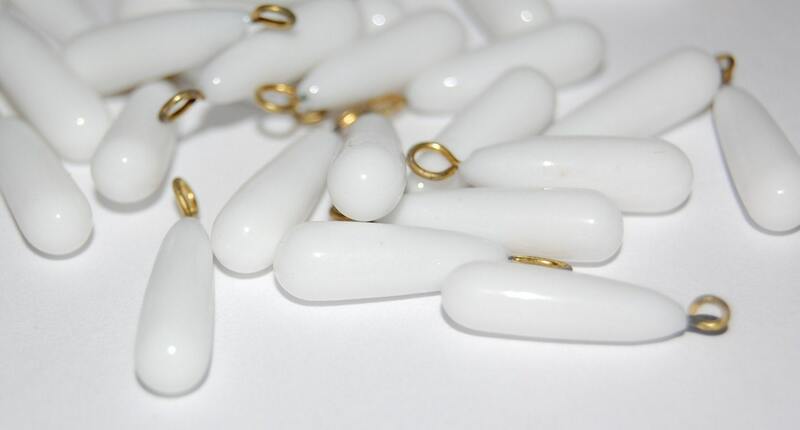 They are a tapered white glass bead or drop with an attached loop. These measure 18mm long x 6mm wide. You will receive 6 of these. 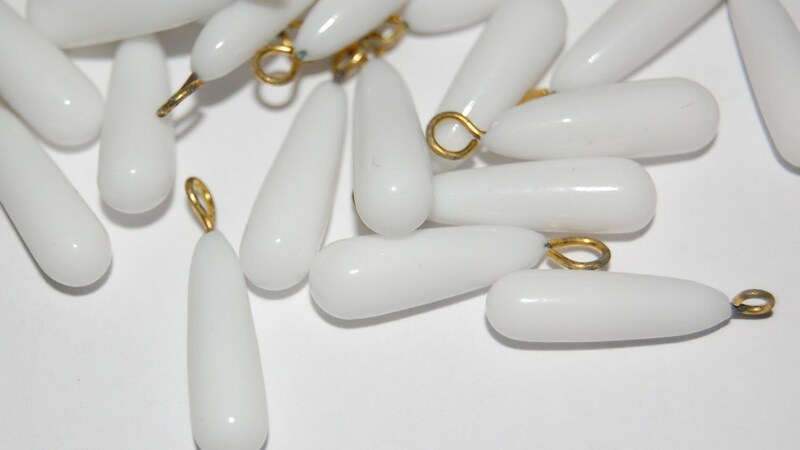 Great drop beads - good quality. Thank you!